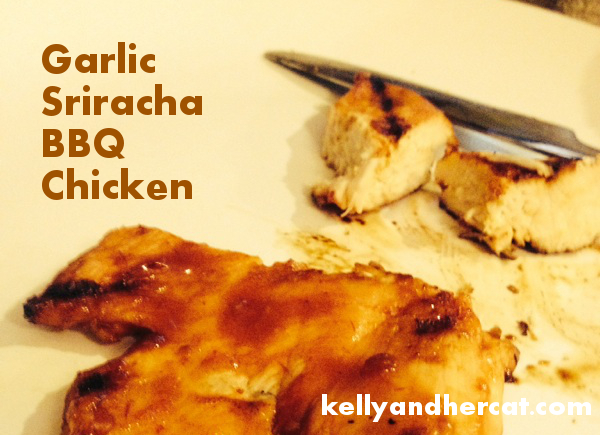 Sriracha Garlic | Kelly and her cat. 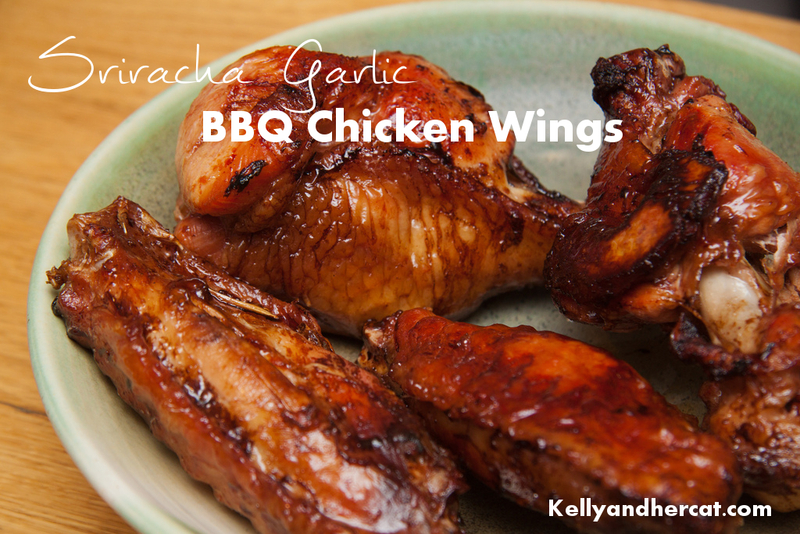 These Sriracha Garlic BBQ Wings are a HUGE hit at my house… and they are super easy to make. Whether you’re starting from scratch of have Trader Joe’s premade sauce, these wings will definitely impress. Preheat oven 400 degrees. Place frozen wings on cookie sheet. Cook for 40 minutes then deep fry for 2-3 minutes to make them extra crispy. Toss in BBQ sauce. Done!